Hosted by Director Jim McGorman with discussion following the screening. 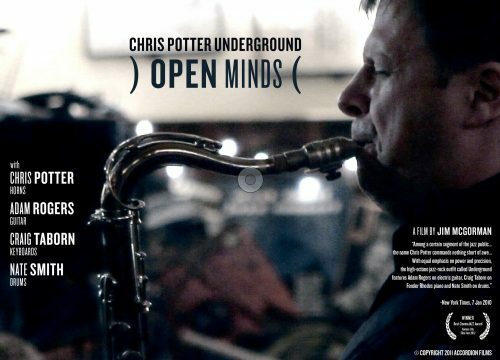 Philadelphia Director, Jim McGorman, follows internationally acclaimed Saxman Chris Potter and his band Underground, from collaborative development of new work to a fiery live performance at New York’s 55 Bar. Saxophonist Potter’s talent has been lauded by both critics and fans since he burst on to the jazz scene as a 19-year-old playing with bebop icon Red Rodney. Keyboardist Craig Taborn, guitarist Adam Rogers and drummer Nate Smith are each recognized as leading talents and front their own bands as well. In rehearsal, band members bring new compositions and work together to understand each new piece. We see the work being played before a live audience at a downstairs club in Greenwich Village, with the added pleasure of having witnessed its development.